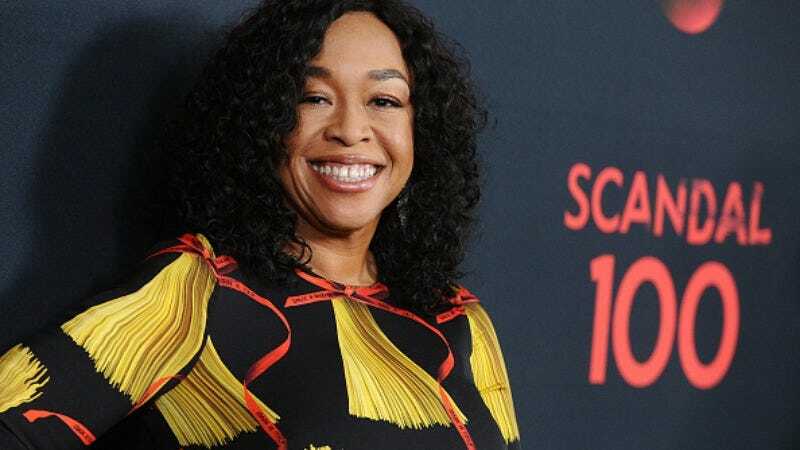 Shonda Rhimes has delivered some of ABC’s biggest dramas of the last 15 years; the veteran TV producer’s Shondaland lineup includes Grey’s Anatomy, Scandal, and How To Get Away With Murder. But the driving force behind ABC’s TGIT slate won’t be establishing any new theme days for the broadcast network—Rhimes has just signed a production deal with Netflix that will eventually bring an end to her time with ABC. This multi-year deal is for “new series and other projects,” Netflix announced via press release today. Netflix CEO Ted Sarandos called Rhimes “one of the greatest storytellers in the history of television,” whose love of TV and films makes her a “Netflixer at heart.” In the joint statement, Rhimes said “Starting today, we are thrilled to begin creating new Shondaland stories with Netflix. Everyone at Shondaland is honored to expand both our audience and our creative identity with Ted and the entire team at Netflix.” The prolific producer has enlisted her longtime collaborator Betsy Beers to help her establish Shondaland at Netflix, where their popular series are currently streaming. They’ll continue to produce Grey’s, Scandal, and HTGAWM for ABC, but it’s not clear for how much longer. Scandal was already set wrap after its forthcoming seventh season, but no end date was previously in sight for the other Shondaland series. Though it was undoubtedly in the works for a while before it was announced, this bit of producer poaching comes just days after Disney (which owns ABC) decided to end a previous arrangement with Netflix, in which the streaming platform served as the “exclusive” online home for films from Lucasfilm, Pixar, Marvel, and of course, Disney. Both sides are taking hits: Rhimes’ series make up a significant portion ABC’s must-see viewing, and when she goes, so will her audience; meanwhile, Netflix will have to say goodbye to films like Moana, which it just got earlier this year. But the streaming service is trying to keep things light on social media.